This six-session study explores the questions: "Where Is God?," "Who Is God?," "Why Did God Allow Sin into the World?," "Does God Know What Will Happen Before It Happens?," "Does God Cry When We Cry and Laugh When We Laugh?," and "Why Do People Believe (or Not Believe) in God?" 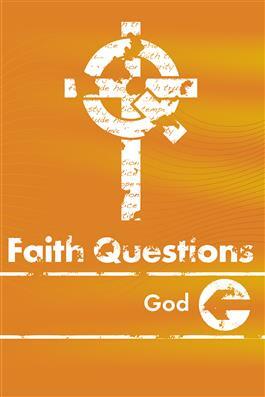 Faith Questionsstudies are based on faith questions posed by youth. Each session encourages young people to look to Scripture, as well as our faith tradition, in relevant and responsive ways. Intended for older youth, this curriculum is easily adaptable for broadly graded youth programs. Each Leader's Guide contains a four- or six-week exploration of a topic with multiple faith questions. Movie, music, media, and other technologies are suggested throughout the curriculum to supplement the lessons.